I can remember the day that I found Dare, which was quite by chance. I had all of my team in for a monthly meeting and had struggled to get through the morning session and by lunch time was both physically and mentally exhausted. Everyone had gone out for lunch and all I wanted to do was sit in a quiet room and cry. I remember looking on Youtube and coming across a video featuring Barry where he talked about hydrating and avoiding caffeine, at the end there was a link to Dare. I struggled for the rest of the day, made it home and thinking I did not have the energy to read, I downloaded the audio book version of the program. Seven hours later and still wide awake, I felt as if I had suddenly seen the light at the end of the tunnel. It was almost as if Barry was describing me, everything he said resonated and I realized that I was not alone anymore. To say I was hooked would be an understatement. Here was a technique that made perfect sense but more importantly to me, what Barry had written was totally authentic. He had suffered and got through it, though his words he was demonstrating real situational empathy, he knew what I was going through and wanted to help. I had read many books before, but Dare was the only one that answered my questions. Now I wasn’t anxiety free overnight, I still have the odd bad day but I now know how to deal with the sensations like Barry describes. They are waves that you just have to learn to ride over and over. 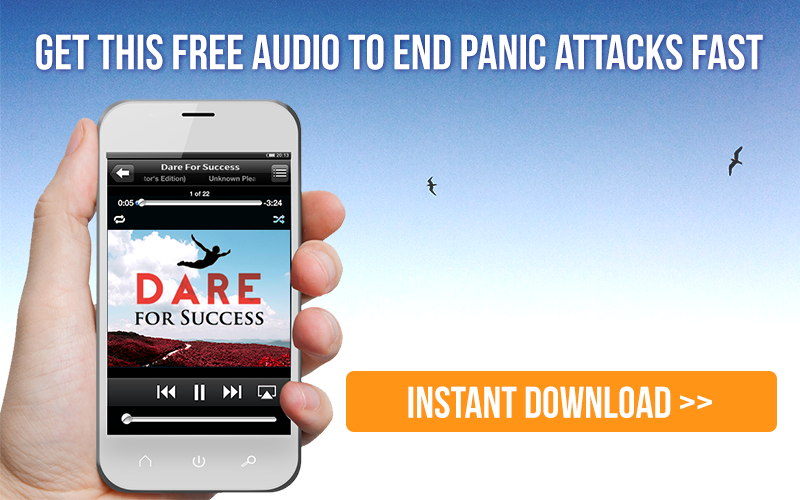 I also have the Dare app on my phone and if I am travelling and don’t feel great, I listen to the audio’s. The three things that have helped me the most are 1. What I call the “Green splat” My little monster that I allow to come with me wherever I go and if it wants to cause trouble then that’s ok, it can come out of its box whenever it chooses too, although it rarely makes an appearance these days. 2. Barry saying that everyone wants to see the photos- I have probably taken this more literally than others being a keen photographer, but it gave me the inspiration to get back out there and start taking them again. This time last year, I could hardly leave the house. Finally, I won’t suffer in silence. I am proud that I suffer from anxiety and I tell as many people about it as I can. This for me was so cathartic, I won’t hide away and let it rule my life. My team at work, colleagues and peers, my boss and my friends all know I suffer. It has opened so many doors for me and has helped me become the person I am today. It has amazed me how many people have told me that they have been suffering for years from it but have always been too scared to admit it for fear of appearing to be weak. Many of them are now using DARE to help them on their journey to recovery. I truly believe that if it can help just one person with their anxiety, then suffering was so worth it. Dare is a small word, but the impact it can have on your life is massive. I will forever be thankful to Barry for is work. I am a massive advocate of his work and I promise you that if you give it a chance DARE will provide you with the answers and support that you have been looking for. The best part about being able to get out and about again now that I have got my anxiety under control is that I have rediscovered my passion for photography and that my 2 spaniels are getting amazing walks. I have said it before but DARE gave me my life back when I discovered Barry’s work. 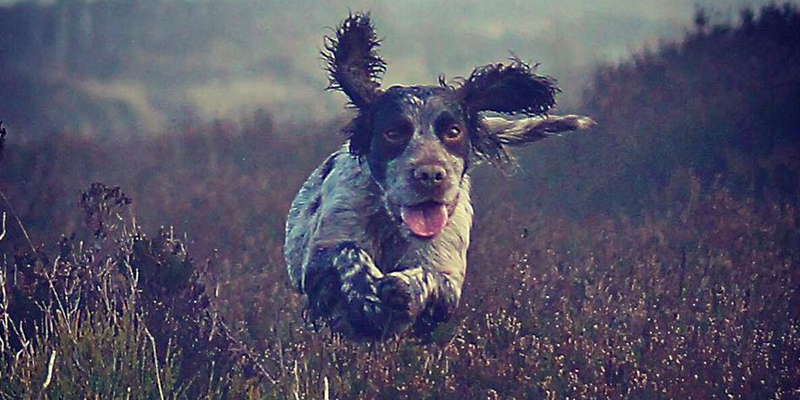 Hope you like Kibble’s superman impression today in the middle of the North Yorkshire Moors. Belated happy new year to you all. Congratulations Steve! I too remember the day I found dare, I have been suffering for six years now, the last two years were the hardest until I read Barry’s book . Like you I struggled every day with terrifying thoughts, and bodily sensations. I thought he wrote the book for me as well LOL it’s certainly help me understand a lot of what’s going on. Although I wouldn’t say I’m a success story yet, I certainly have begun my road to recovery. I don’t know what’s going on with me but I’ve noticed a few changes.. I used to have a lot of chest psons( that’s how the anxiety manifest in me) .. swore something was wrong with my heart until I realized that the chest pains that used to change in intensity and feelings has abated a bit!! Now I get a little bit and even the night time panic attacks has stopped it frequency .. everything just changed in the last three days!! I guess it’s going away!! Hi Steve thanks for sharing your story. I too suffer from anxiety. What is bothering me the most is I have been able to keep my anxiety under control so to speak for most of my life. Now that I am retired and suffering from severe arthritis it has come back even in situations I should not find anxiety producing. I fear travelling away from home both in the car and on a plane. It is really starting to get to me. I don’t understand why? Why has it come back. Maybe the constant pain has triggered something. I do feel depressed because I am so limited by my physical condition. I thought I would be travelling the world having a great time instead I am suffering from anxiety and limited greatly by it. I wish there was a support group I could get together with and work through this. I live in London Ontario Canada. Thanks for sharing your story Steve . your story gives me hope that I can live n love life as good as others can .Thank you for sharing your good fortune ……. Thanks for sharing your story Steve. Dare has made a huge difference to my life and can’t imagine life without it now! I hear your pain and you need to talk to a therapist and not someone that will give you drugs. You are strong and asking for help is a sign of strength. If I lived near you I would talk with you. I have suffered for years and the meds have only made it worse. Seek help. You are not alone. I feel just like you. If I could give you a hug a say try the panic techniques I would. God Bless you. Ive had anxiety for over 30 years. I love dare and practice whn i can but find the automatic thoughts and anxiety always take first place!!! Any ideas-my issues are red lights,enclosed spaces,flying etc. Obviously control issues here!-as in not beinb able to ESCAPE if i need to! Good luck tl all of you and this site is great ,makes me realise how many of us out there and great ideas. Thank u Steve. I love your photos and I appreciate reading your story. Dare has been so helpful to me …. I have been “Daring” for a month now and I already like the new me better than before the panic and anxiety me ! My outlook on life and interaction with my family has done a complete 360! I still face some of the sensations daily but overall I’m proud to say I’m on my way to recovery! Thank you for sharing. The dare approach is the first thing that has helped me face my fears. It has given me hope. You need to work hard though and things don’t change over night. Save details in this browser for the next time I comment. I'm trapped in this fear, in my mind or a body that's not mine.